Though Tina Turner published the autobiography I, Tina: My Life Story in 1986, she had a whole lot more living to do! In My Love Story, Turner discusses her “whole second life;” that is, the 42 post-Ike years “filled with adventures, accomplishments, and love beyond my wildest dreams.” But these years have also had a darker side, including the loss of her son, and her own recent life-and-death health challenges. Turner’s positive outlook shines through on each page of her inspirational story, reflecting her Buddhist faith as well as the unfailing support of her second husband, Erwin Bach. “Good came out of bad. Joy came out of pain.” A good read for the holiday season. 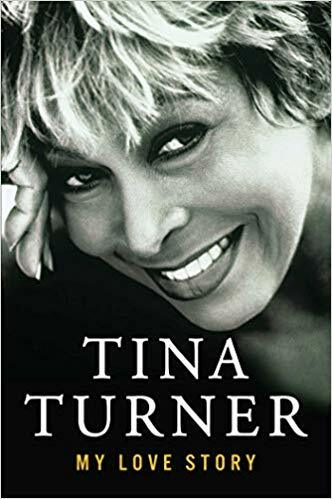 This entry was posted in Rhythm & Blues, Soul, Funk and tagged Atria Books, autobiography, book, Brenda Nelson-Strauss, My Love Story, Tina Turner by aaamc. Bookmark the permalink.